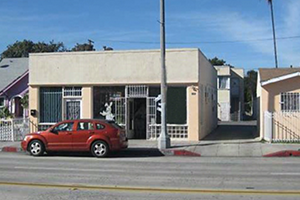 The investor sought a non-bank solution to refinance two properties and purchase a vacant lot. Silver Hill provided a blanket loan for the 3 adjacent properties that included the cash-out necessary to purchase the lot. The deal was funded using Silver Hill’s Streamline Investor Program and closed in less than 30 days. The borrower struggled to refinance his mixed-use property with banks when the commercial unit became vacant. Silver Hill was able to provide a 5-year, fully amortized loan featuring 100% cash-out. The loan was funded through Silver Hill’s Streamline Investor Program, which requires no tax returns or 4506T. The borrower tried to refinance their multifamily property in NC with a competitor who ended up reconditioning the file at closing. The borrower was very upset and walked away. Their broker took the deal to Silver Hill, who required less documentation than the previous lender and worked with the existing appraisal and title policy. The team closed the loan in less than 30 days. The borrower worked at the establishment for 5 years before they bought 50% of the business and 100% of the real estate. They were coming off a hard money loan that was going to mature in the next month. After shopping the loan to 15 lenders, they turned to Silver Hill Funding. The team was able to give the borrower the highest LTV and most attractive terms. Silver Hill was also able to get them cash-out so that they could put some money back into the business and make capital improvements. The loan closed in 30 days. This borrower had a maturing note with a bank that was not interested in renewing the debt. Silver Hill funded a transaction that not only paid off the matured mortgage debt but also provided some cash out for the borrower. The experienced investor rehabbed and stabilized their property in the last 18 months. Despite their high credit scores, they were turned down at several local banks due to recent stabilization and bank DSCR/underwriting requirements. Silver Hill Funding was able to refinance the borrower out of a high rate, short term hard money loan and offered financing with a 5/1 ARM, 30-year amortization with a 3-year prepayment penalty. The borrower entity in this transaction was a trust that needed to invest in a property due to a 1031 exchange maturity. Silver Hill was able to provide 75% LTV financing for the purchase of an 8-unit multifamily property in Cartersville, GA. The Silver Hill team closed the loan within 30 days from receipt of the signed LOI and appraisal/underwriting fees from the borrower. The borrower was looking to refinance out of a high rate, short term private note. 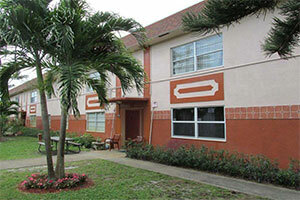 Silver Hill was able to significantly lower their rate and convert the debt into a long term, fully amortizing loan. The borrower was also able to do a limited cash-out after paying all closing costs. Silver Hill helped the borrower refinance their mortgage and pay off a small-business loan. The loan closed in 29 days and was funded through Silver Hill’s Streamline Program, with no tax returns or 4506T required on small-balance commercial multifamily deals. The borrower was looking to refinance out of a high rate, short term private note. Silver Hill Funding was able to significantly lower the borrower’s rate and convert the debt into a long-term, fully amortizing loan.